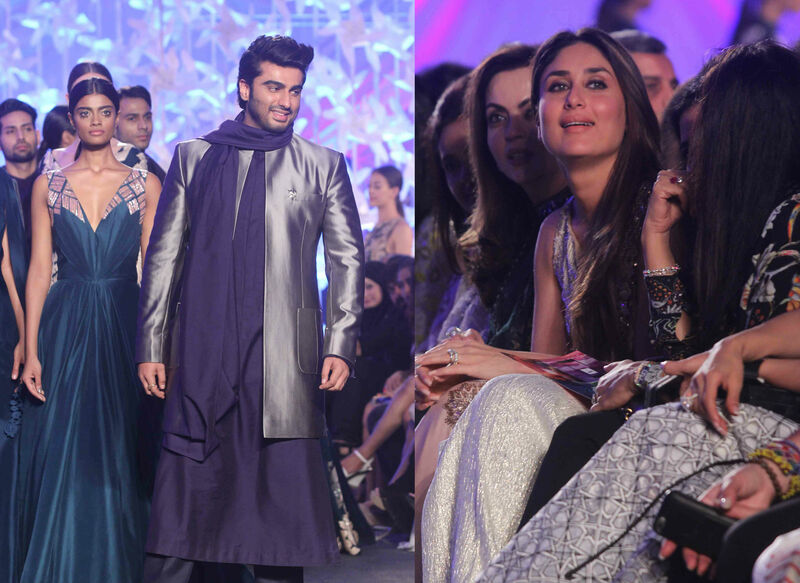 Arjun and Kareena Kapoor photographed during the Lakme Fashion Week. 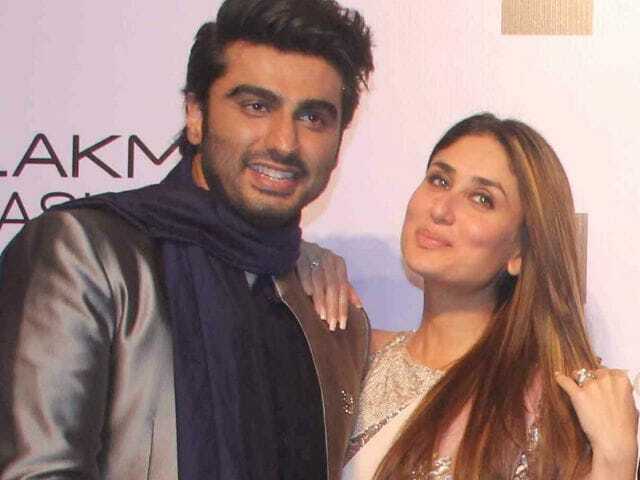 Actress Kareena Kapoor Khan is not only fond of her Ki And Ka co-star Arjun Kapoor’s acting, but now she also admires his confidence on the ramp. 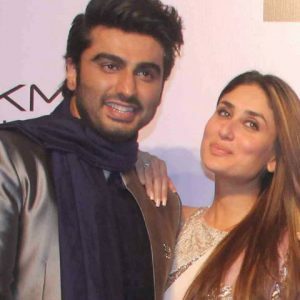 Arjun walked for ace designer Manish Malhotra at the ongoing Lakme Fashion Week and Kareena, who cheered both her friends (Arjun and Manish) sitting in the audience was all praise for the 30-year-old actor’s stint as show-stopper. 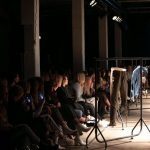 “Since this was the first time I saw him walking the ramp, I think he did the catwalk quite well. He was quite confident and that’s what I liked,” the Bajrangi Bhaijaan actress told reporters. 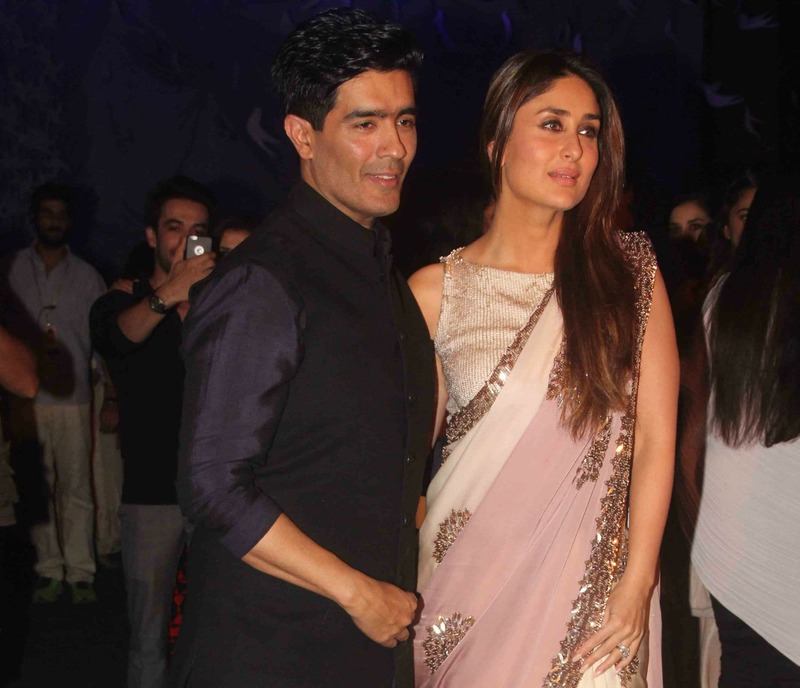 Kareena, 35, who herself looked gorgeous in a sari, praised Manish and said the 50-year-old designer is one of the persons to whom she owes her success. “I am short of words. The reason I am what I am today, there are a lot of people behind that and one of them is Manish. The long journey of 16 years, it wouldn’t have been possible without Manish. I am very happy to be a part of this show,” she said. 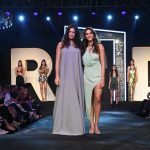 FashionArjun's, Confidence, Kapoor, Kareena, Likes, On, Ramp.